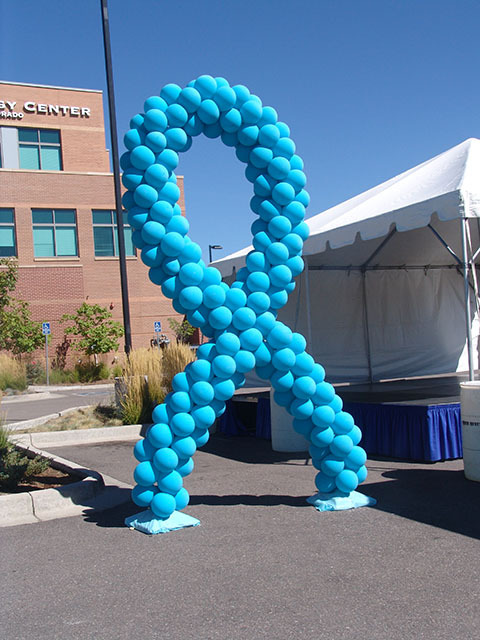 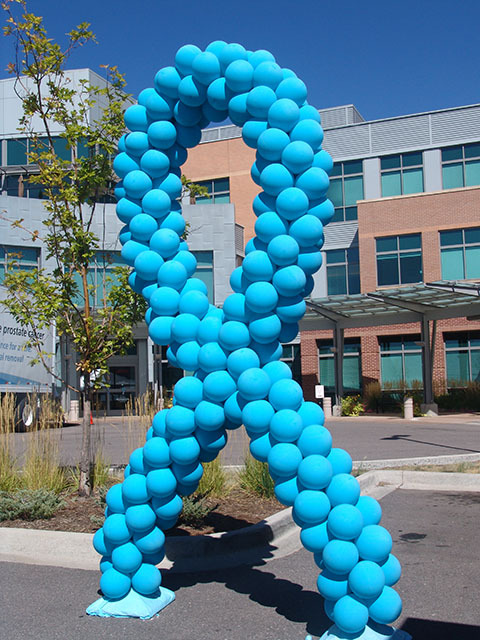 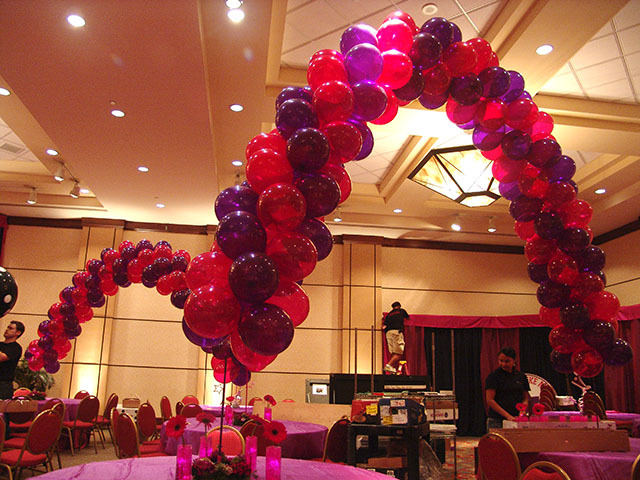 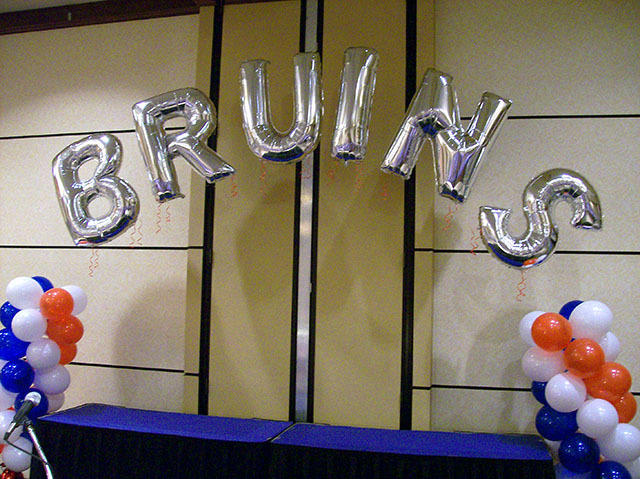 We can make any color, any size balloon arch and deliver it to any Denver metro location. 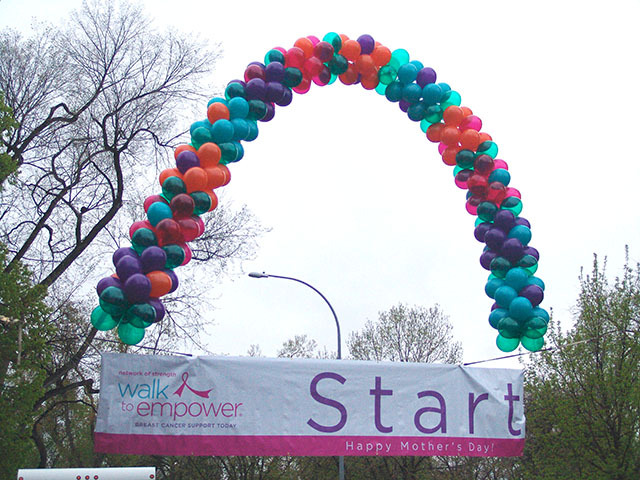 We can make smaller ones for inside decoration or larger spiral balloon arches for a great outdoor attention getter. 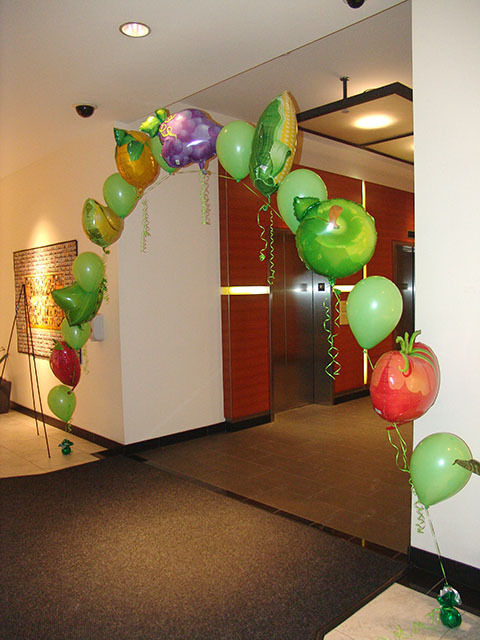 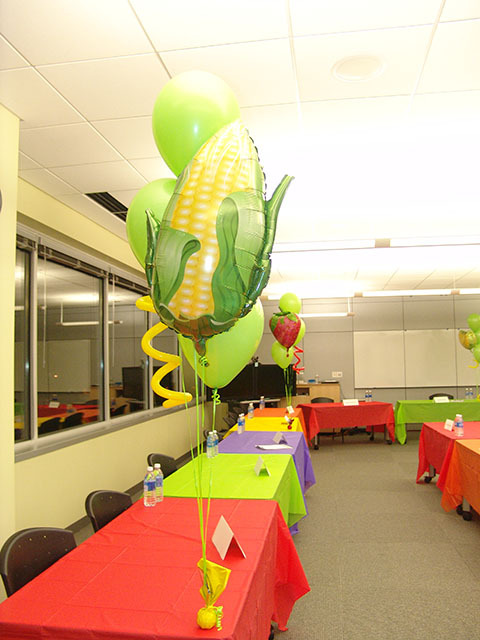 This theme was a fun twist with adding fruit and vegetable mylar balloons to the mix. 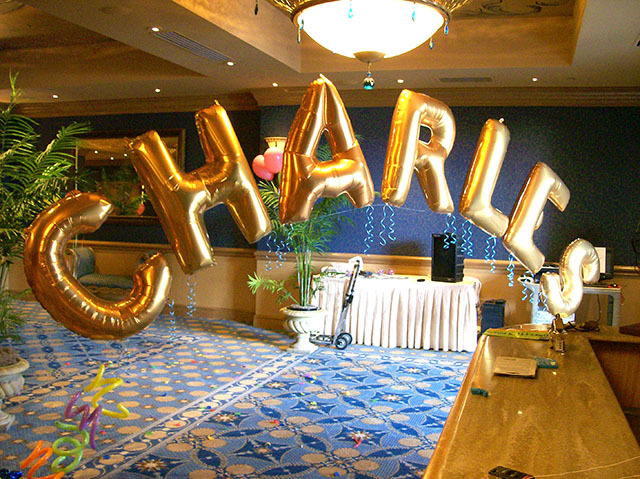 We can deliver almost any themed balloon decoration to the Denver area.